Bird's Eye views of Liverpool as seen from a balloon, 1885. 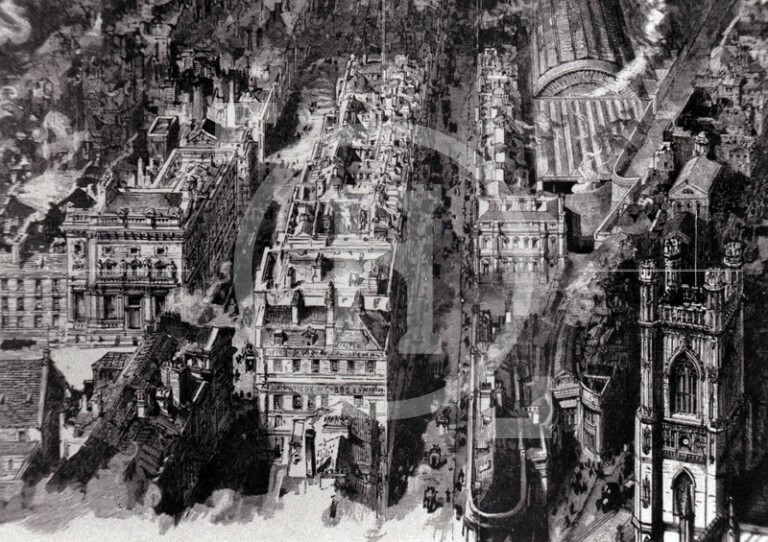 The tower of St Luke's Church is at the bottom right of this picture, with the sheds of Central station at the top right hand side. Bold Street and Renshaw Street run down either side of the station.